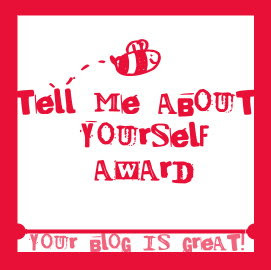 Carly Watts Art & Illustration: Blog Awards! The lovely Erin from Popcorn, Pugs, & Peonies has awarded me with this! Now seven things about me! This could potentially be quite boring! 1) I used to work in a high school as a Learning Support Assistant and it was insane. 2) I have a degree in Drama and Theatre Studies. 3) I don't actually own a tv at the moment! 4) My favourite artist is Kurt Jackson. 5) I once directed a play that was shown at the Edinburgh Fringe Festival. 6) I am a geek, and like to play MMO's such as WoW! 7) My favourite book is The Secret History by Donna Tartt. I have had The Secret History on my list for a while. I need to read it soon. Wow, no tv? I don't think I could survive. I am way to dependent.